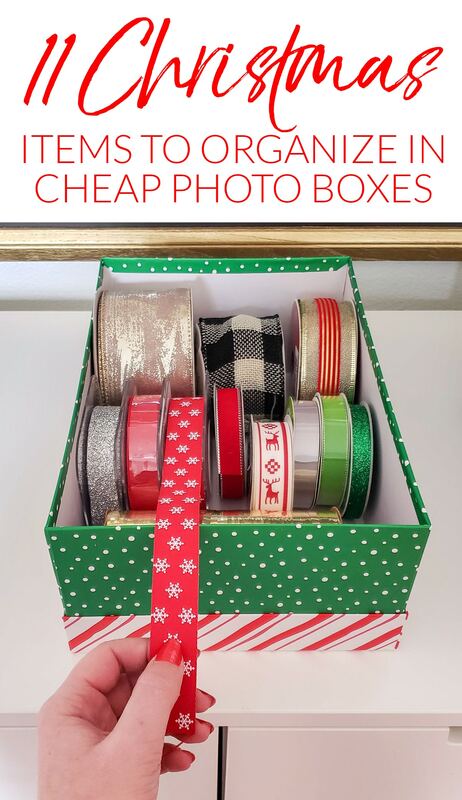 Earlier this year, I wrote a post about my favorite inexpensive storage and organizing bins – cheap photo boxes. As I came up with 11 ways to use them year-round, I started thinking that they’d be ideal for Christmas storage as well. They’re often on sale for either 4, 5, or 6 boxes for $10 at Michael’s…meaning the price ranges from $1.66 to $2.50/box depending on the offer. I think the normal price is $4.99, so wait for them to drop to at least $2.50. PS: This is NOT sponsored, just where I’ve found the best deal. I’m not adding a link to Amazon because they are $7-$10 for the same thing. 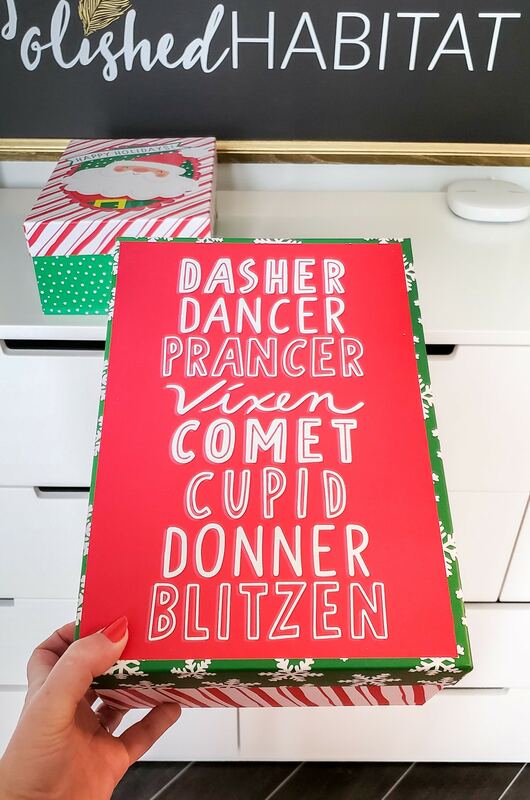 I even found some boxes with Christmas designs for $2 last week! 1. Gift Tags – It’s easy to find the perfect gift tag if you sub-divide your photo box using smaller bins. Check Dollar Tree and the Bullseye Playground at Target for cheap small containers. 2. 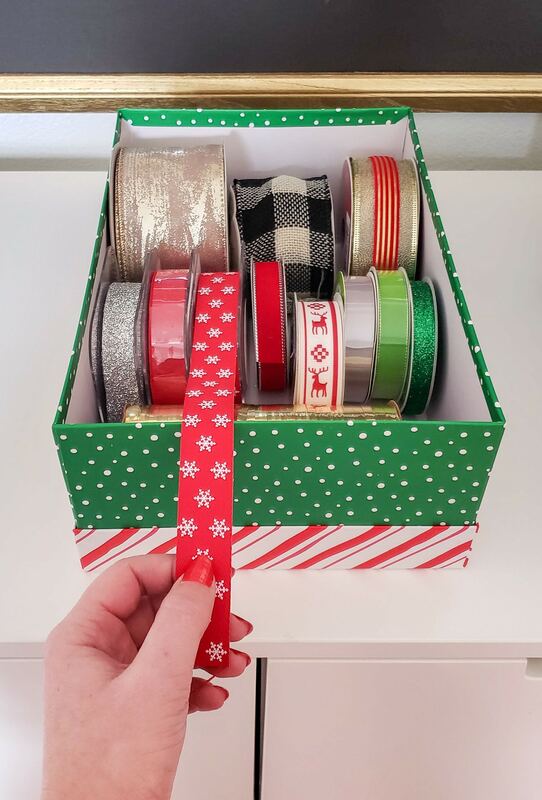 Wrapping Essentials – I hate having to gather all the necessary wrapping tools each time we come home with a new gift to wrap. Now we can just grab a box that contains sharp scissors, scotch tape, packing tape, double-sided tape, and even a box knife for all those Amazon packages. 3. Ribbon – I wasn’t sure how well ribbon would fit, but it works! 4. Bows – We have quite a stash of bows, so my “collection” takes up more than one box. But that just means I can sort them by color! 5. 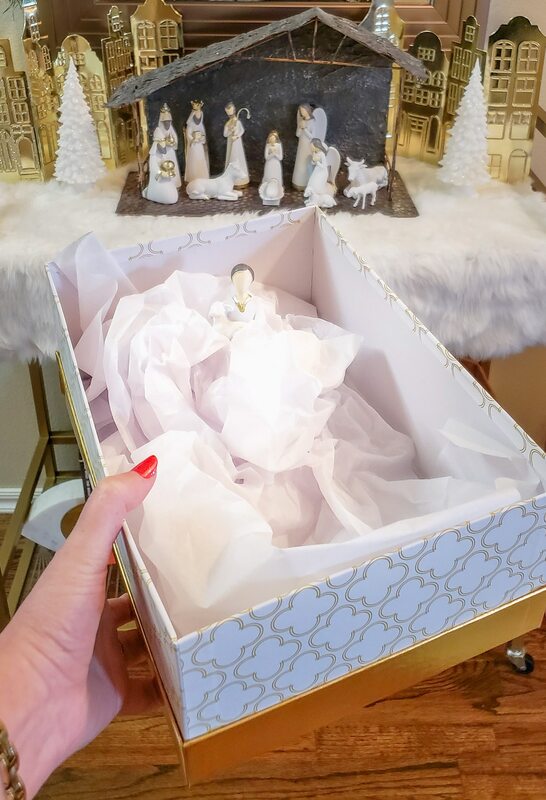 Cookie Cutters – This is a repeat from the non-holiday version of photo box storage ideas, but it’s one of my favorites! Gather up all your cutters and separate them by season/holiday. 6. Sprinkles – Every house should have a box of sprinkles. It’s like joy in a box! 7. Frosting Bags & Tips – Decorating sugar cookies has been so much easier since we combined all the required tools together. 8. 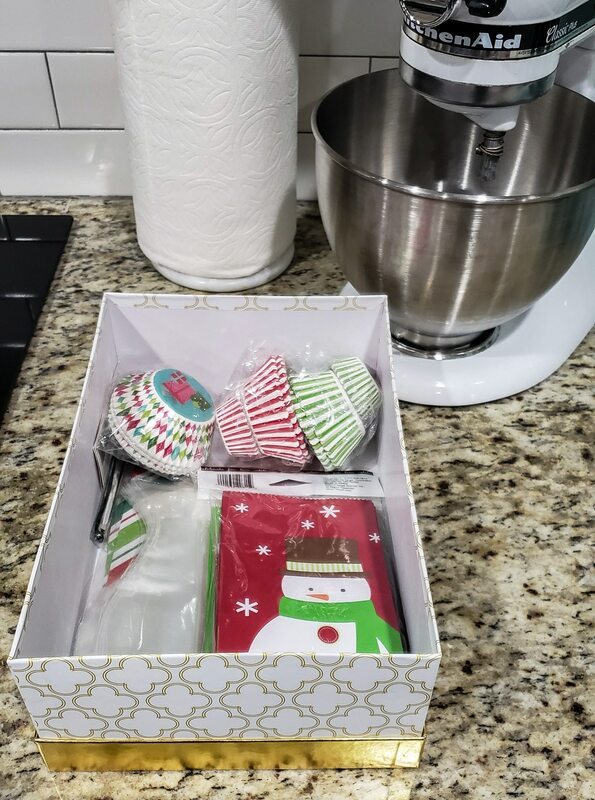 Baked Gift Supplies (Cookie Bags, etc) – I love picking up holiday cupcake liners and treat bags on clearance after Christmas…and then I lose them! Now they’ll have a designated spot, and it will be way easier for me to check on the inventory before holiday baking. Putting breakable items into these photo boxes before packing them away in larger totes is a great way to keep them safe until next year! The photo boxes aren’t the best for large bulbs, but they are perfect for other tree decorations. We have personalized ornaments from my Gram that we individually wrap in newspaper, but then they always went in a jumbo tote along with other breakables. 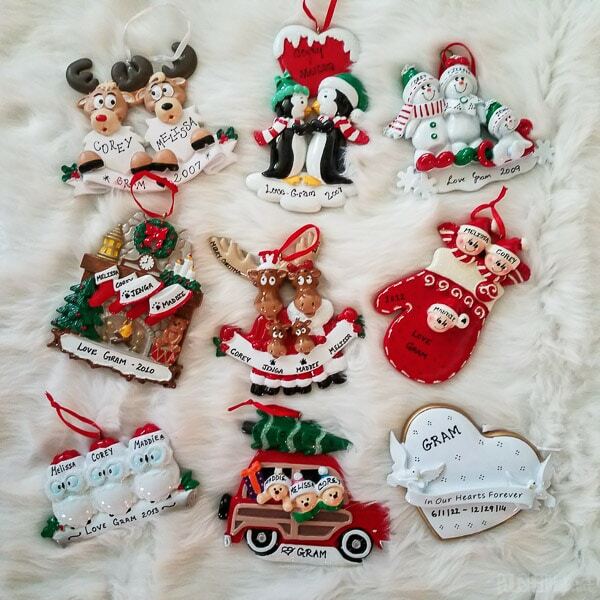 I feel much better about sub-dividing and labeling the ornaments into photo boxes this year. 10. Nativity Scene – I always get stressed out by our nativity pieces being wrapped in newspaper among other breakables in a large Rubbermaid tote. They feel more secure in the photo box, and they’ll stay together as a set. 11. 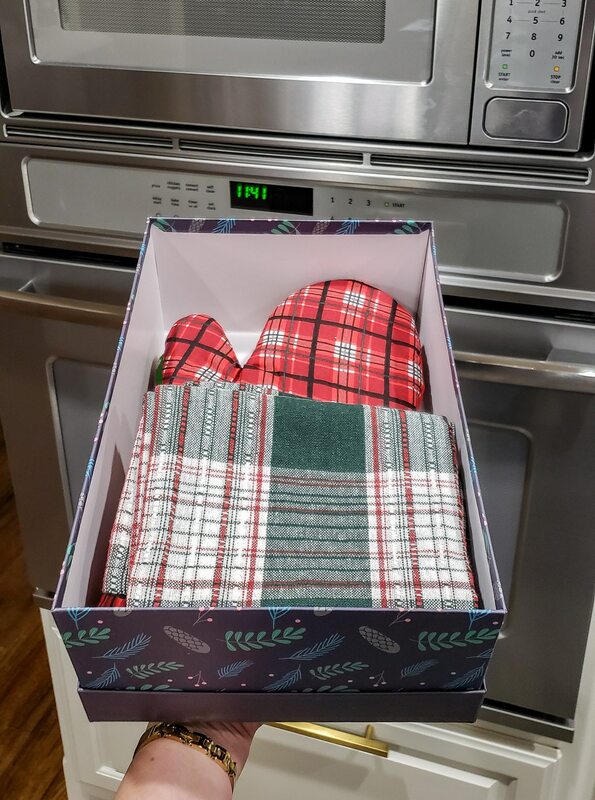 Table and/or Kitchen Accessories – Things like holiday napkins, hand towels, holiday napkin rings, pot holders, and Christmas salt & pepper dispensers can be grouped together in one or two boxes. 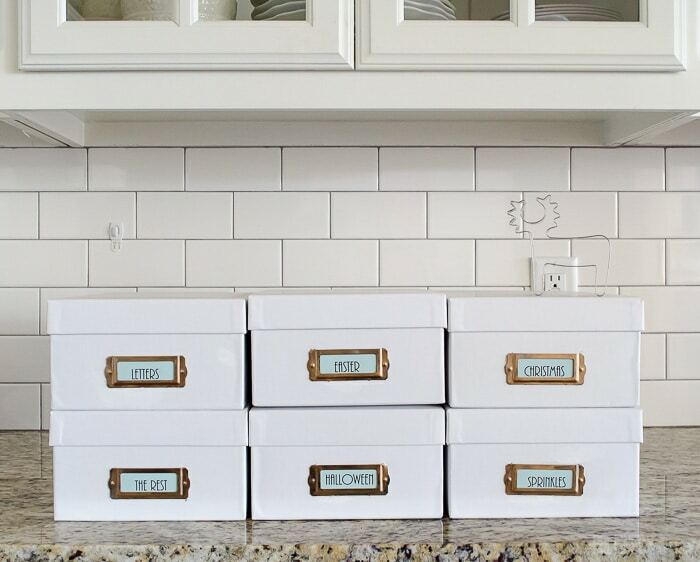 Bonus Idea: This isn’t exactly storage or organizing, but you can also use these boxes as a gift basket/gift wrapping. The recipient will be able to use it again and again! I usually make some goodies for the awesome guys that report to Corey at work and he gets them a small gift as well. I think this year we’ll combine the goodies and gift into these boxes and they’ll be easy for him to stack and carry into the office! I was blown away by all the brilliant ideas shared in the comments of the non-Christmas photo box post so let’s see what you’ve got this time! 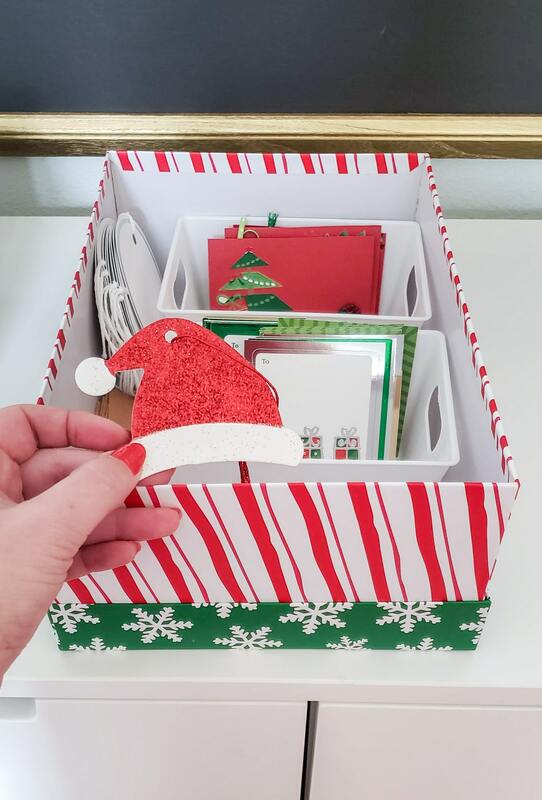 Add a comment below with another idea for using these boxes during the holidays! Those photo boxes? Can’t get enough of them at Michael’s (almost always on sale or reduced pricing with a weekly coupon). I don’t always bond with the available box patterns so I once bought a solid black one and hot glued a rhinestone trim around the lid for a very upscale/boutique look. Amazon has great deals on rhinestone trim. Thank you … luv that … from a distance you would never know they weren’t high-end marble accessory boxes! 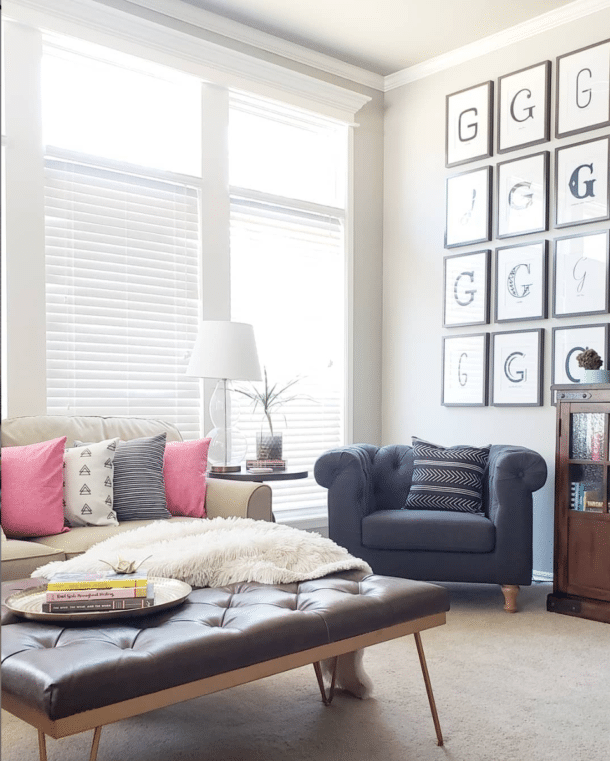 And your bookshelf ‘ backspashes ‘ … luving that too … what an inexpensive way to add a designer touch ! I use a photo box to store my assortment of Christmas cards & envelopes. I purchase small sets as they go on sale and then save them in the box for the next Christmas. I also use a photo box to save Christmas cards received from others. It becomes the supply box for me or my girls if we want to make our own cards or gift tags. Those are great ideas! I have one in the office for year round mementos and cards received but I need to make one for Christmas cards as well! ceiling and the long covered front porch that pretty pale blueish green color you used. It will totally lighten up the space. 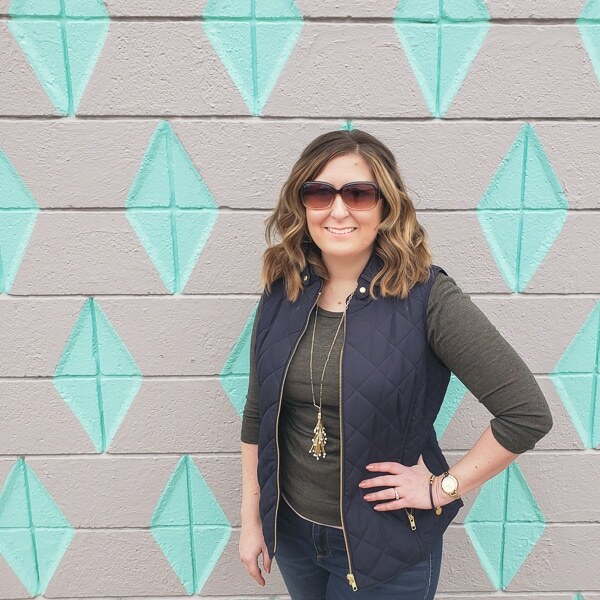 Where did you get your round patio chairs? I can’t find your post. Thanks! I love this idea! I use a lot of plastic tubs, but they waste space with their sloped sides. This is great! I love your serene nativity set! Do you know where it came from? I’d love to know. Thank you! Thank you! I stumbled on that nativity set online at Target this year and fell in love!